the district's structures are the products of a continuous vernacular building tradition. 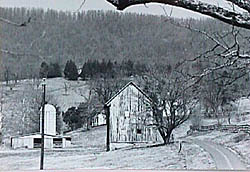 Several African-American settlements also lie in the area. Scattered throughout the district is a remarkable range of farm buildings including early barns, granaries, corncribs, stables, and sheds. A strong sense of community pride has enabled preservation of the district's pastoral character. 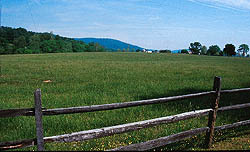 The Southwest Mountains Rural Historic District is over 31,000 acres bordered by 1-64 just before Charlottesville on the south, Rte. 20 on the west, the Orange county line on the north, and the C & O Railroad tracks on the east.